This post might sound like a newbie, but recently i was so into SQ and i took a step forward to go for SQ sound system setup in Ford Fiesta, the path to an audiophile world starts in my Ford Fiesta car audio upgrade. The right choice for me, for choosing sound quality over SPL, rather than blasting loud music till you shake your car interior, SPL is a no-no for me at this age. I go for SQ. Other than Jazz and Blues, I do listen to Vocal House and Deep House, it sound nice in SQ sound system setup too. SQ stands for Sound Quality. SQ car audio is setup to play just like the singer singing in front of you and instruments played at its own position, where i did a SQ demo on my Ford Fiesta recently. It’s all about the crispy clear sound, vocals and instruments. The most suitable music for SQ setup is Jazz, Vocal Jazz, Easy Listening, Instrumental, Ballads, Acoustic, Souls, Blues etc. SPL stands for Sound Pressure Level. SPL is all about the bass, where you crank up really loud, suitable for bass heavy music – Hip Hop, Trance, House, R&B etc. I found SQ setup are more enjoyable and relaxing, sat down, close eyes and feel the voice and instruments played in front of your car dashboard, left to right, right to left. I also wrote a guide about how to setup SQ car audio in more details, maybe you can check it out. Well, i don’t have the really high-end SQ car sound system, but my entry level setup are quite good enough for me, for now. The cost for setting up SQ in car is not cheap. It’s a hobby that will break bank account. 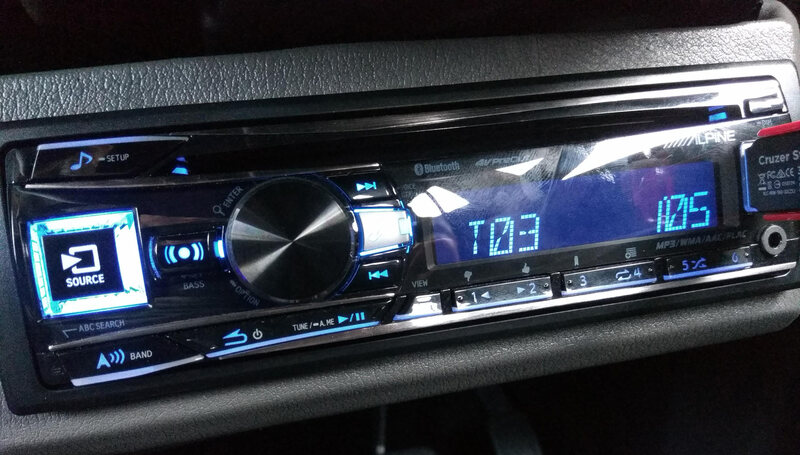 SQ entry level setup and stereo upgrade in my Fiesta cost about more than 9k – 10k (after done calculation including soundproofing and customization) and you can’t stop upgrading if you are poisoned with the super clear audio reproduction. I heard some high-end can reach above than 30k. Sounds crazy but it’s true. One thing about my monoblock it’s an unknown brand, well, maybe that will be my next upgrade. Also done with the front door soundproofing but music still can be heard clearly outside if the volume cranked up high. Well, it’s the time alignment feature used in the digital sound processor. If I’m not mistaken, the phase and time alignment are commonly used in SQ car audio competitions, where the judges will sit and listen at one position, the driver’s front seat. 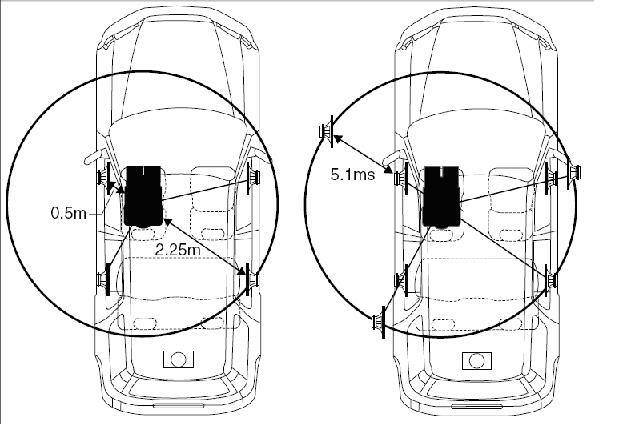 The sound will reach directly to the driver’s listening position but not the passenger. All the songs i played are not bass heavy boom boom type, mostly Jazz, Pop, Blues and Instrumental, so it’s more focused to the front sound staging. My subwoofer is quiet, using only 5-10% of its capability, too quiet unless i want to blast some Trance music. 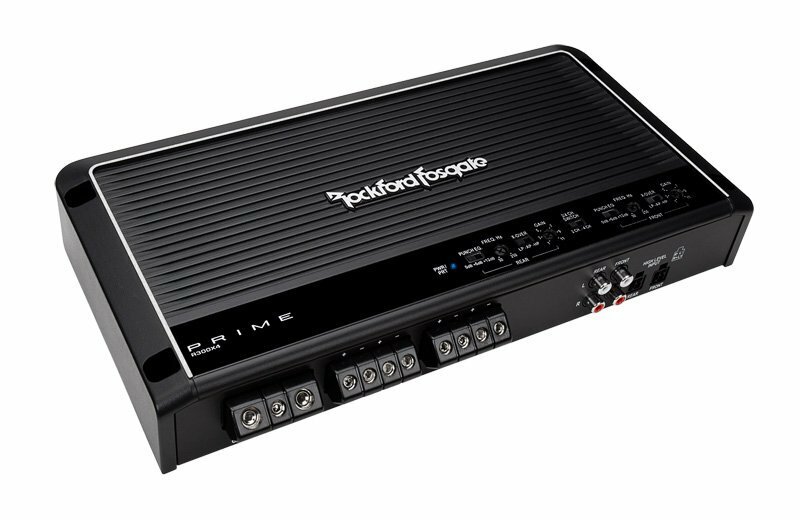 For the 4-channel RF Prime amp that powered my component speakers, it’s AB type, i have nothing much to say, it’s a Rockford Fosgate and i’m a fan of the brand. Not sure why i like it. #Throwback90s: Since i was a child, i used to sit in my cousin’s car listening to fast hitting, bass hungry eurodance music of the 90s, La Bouche “Be My Lover” etc, and that was where i first saw the RF brand and now, i owned it. LOL. My cousin’s Honda Accord uses the whole car boot as subwoofer box, can’t remember whether its a JL or Kicker sub, but it’s huge. It was total annihilation, each of the beats and tight bass have the so called ‘shockwave effect’, pumping to the heart when I’m sitting inside his car. All i saw was the sub was bouncing up and down really hard. I think his SPL setup is the competition type. Cool experience and sweet memories huh? I’d changed my Fiesta stock speakers a few time, trying to get the best one. Now talking about the 6.5″ component speakers, it’s a Morel Maximo, an entry level speakers that already sound good for ears! It plays so nicely that the vocals can be heard clearly, realistic and can be heard outside the car, hmm.. no privacy actually. I don’t have the chance to take the photo of it but i reviewed it here instead. A bang for the bucks for entry level car component speakers. The component speakers currently have ‘active‘ type setup in my car, where the crossovers are get rid of and giving it more… ways to tune and play with it. (don’t know how to describe it). Perhaps better way of tuning in terms of the lows, mid and highs. 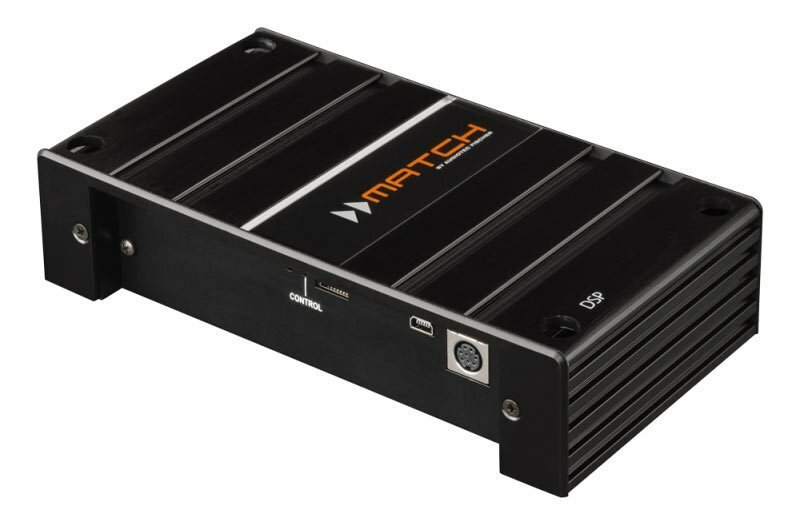 I really like the Match digital sound processor by Audiotec Fischer, a German product, it is best audio equipment i ever have it for my car. Although my head unit can do the time alignment and stuff, but leaving it to Match DSP to handle the listening position works well enough. It look something like the picture below. One thing i don’t like is my passenger won’t be able enjoy the music as much as i do when i want to poison (LOL?) because of the time alignment are tuned, fixed to my driver seat position. Maybe that is just how it works right? 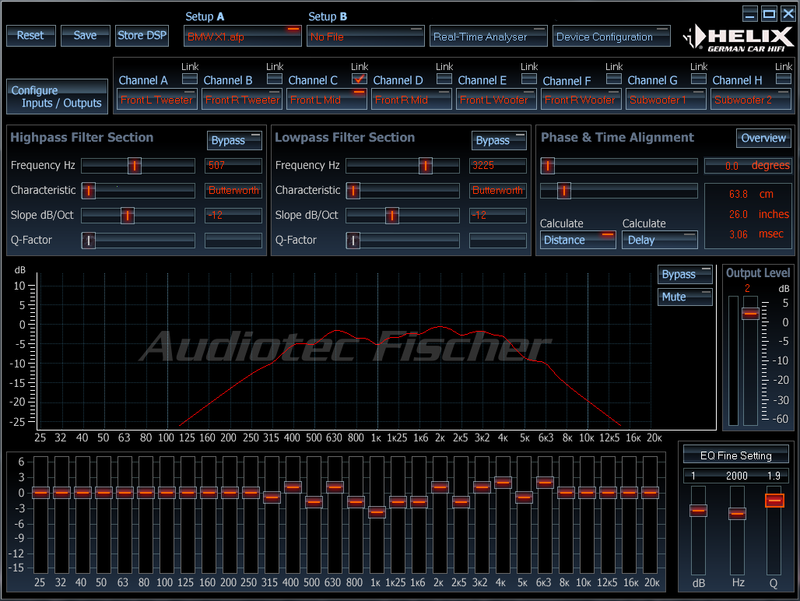 The tuning software used by the Match DSP is actually can be downloaded for free, for use on Audiotec Fischer products only. With all the slides and button and stuffs, complicated interface, i guess I don’t want to messed around with. Just let the pro tuner handle it. The picture below is taken from their website, and only for visual purposes only. ‘Poison‘ or ‘poisoned‘ is popular term commonly used in Malaysia when it comes to car audio or anything related to car. It’s a term like influence someone with something you owned to get him to buy. Back to the Match DSP, my tuner really took his time off with his laptop and RTA equipment to fine tune the EQ manually. EQ stands for equalizer, where you can tune the frequency of bass, mid-bass, mid-range, the highs, treble etc by sliding up and down to make your music sounds good to your ear. RTA is real-time analyzer is used by audio professional to tune the frequency of an audio signal. The last tuning he told me the EQ was almost flat curve, maybe it’s a good thing not to overdo it with EQs, for the music to sound natural. Now for the head unit, it’s Alpine CDE-163BT. I’m not using the stock head unit anymore but still retaining the other functions like side mirror adjust, chime, LED dimming etc. I have a rack customized to hold the player in place and it look great in my car! The aftermarket HU have all the features i need, USB Port, Bluetooth Wireless, 9 Band Parametric EQ, time alignment, 24-Bit DAC and the most important feature is the FLAC audio support through USB port! This is one of my custom Fiesta MK7 head unit upgrade i had right now. The keys and display colors can be adjusted separately which is called ‘Illuminati’ features to match the car dashboard lighting, which looks awesome at night. Nothing much to say about it, but you can find out more about the Alpine head unit if you want to upgrade head to the shop that i recommended. The music format i’m currently using is the HD Audio files, loseless FLAC format with 24bit/48khz and 16bit/44.1khz sound quality. For a true audiophile and wants to listen to high quality music but don’t have the space to store the bulky CDs, recommended to use FLAC. The Alpine head unit have the FLAC info written in user manual that it doesn’t support FLAC with sample rate over 48khz, so anything higher than that can’t be played by the HU. 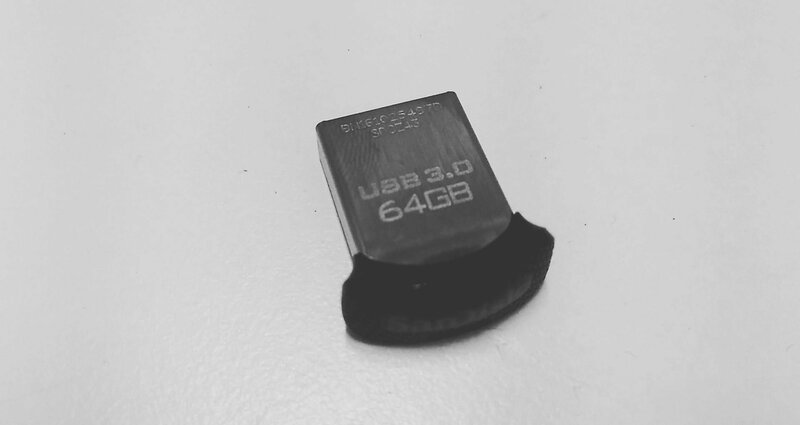 A tiny Sandisk 64GB USB drive can store a lot of files, with file size ranged around 30MB – 50MB. It took me 2 days to find out why I can’t play 24bit/96khz on the Alpine head unit. I was like converting music files over and over again, and why the hell its not working at all until i read the online user manual, 24bit/48khz is the highest sample rate supported. I hope this post will help other Alpine owners who encounter the same FLAC issue as me, just need to read the user manual properly. Once you’re into using FLAC, you won’t go back to MP3 320kbps. Some music in FLAC format are quite hard to find and there are not much Dance / Pop music unless you buy it through online or find some other Jazz/Souls/Blues music on hdtracks.com. But right now i have around 200 tracks mostly Jazz, Blues, and Pop. There are ‘ways’ to find it. What a pain in the *ss. 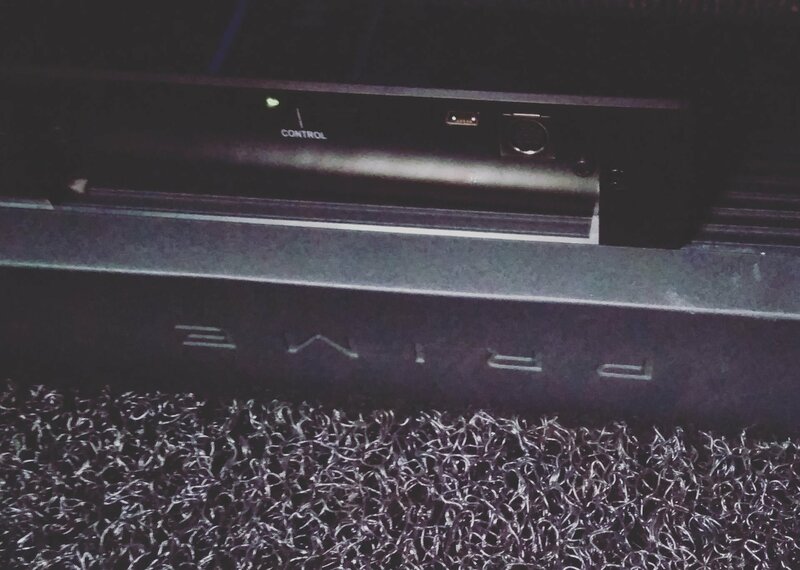 My speakers are powered by a Rockford Fosgate Prime 4-channel amplifier and it’s quite powerful, as it give my component speakers the power it needs. The Rockford Fosgate amplifier cost about RM2.8k (including installation) in Malaysia but can get it at cheaper price if buy from Amazon US. Although it’s cheaper from Amazon, the long distance delivery all the way from USA is a bit worrying for me, so I rather spend a bit more and get it straight from the car accessories shop. Nothing much to complain about R300x4 as I get crystal clear and clean sound with amplifier. I get my A-pillar customized to get the tweeters up for better sound staging. There are huge improvement by moving those tweeters higher at ear level from the dashboard. Vocals and instruments from a Jazz song or other genres will be more noticeable. The A-pillar cost about RM400 which took 2 days to complete. Now, where did i get all this setup in my Ford Fiesta? It was my usual Saturday hangout place for the past 3 months. Thanks to RS Pro Auto Accessories in Kepong. When you’re at their shop, you’ll be surprised with the trophies displayed there. Another thing is their hard work and great workmanship, clean installation and after sales service. I give it 5/5 star. Worth breaking my bank account.